Pas Cargo, a leading freight company serving the Caribbean and Latin American region, officially opened its office in Kingston Wharves’ Total Logistics Facility (TLF), 195 Second Street, Newport West recently. 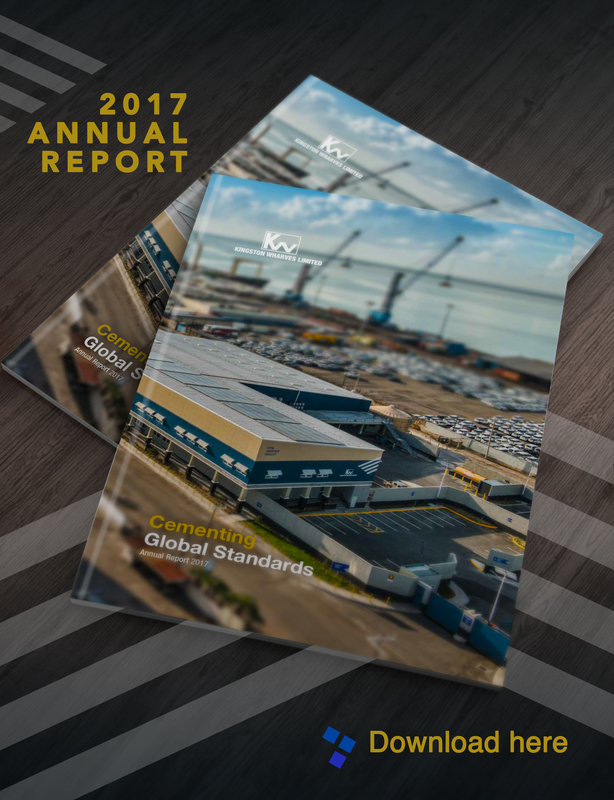 Kingston Wharves Limited (KWL), the Caribbean’s leading multi-purpose, multi-user port terminal, has leveraged the synergies of its combined terminal operations with value added services related to inbound and outbound freight, with the opening of its Total Logistics Facility earlier this year. 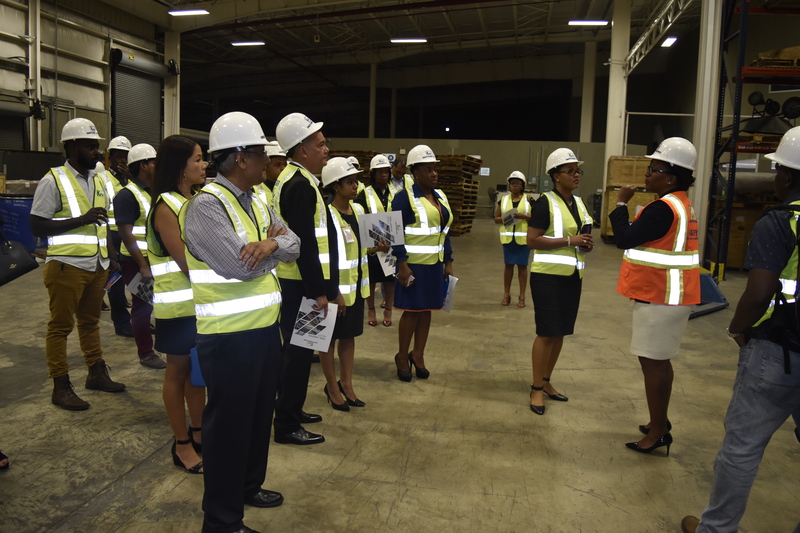 ‘Under one roof’, the TLF boasts the integration of KWL’s corporate office, customer service support, customs processing and modern warehouse and rental office spaces. Speaking at the Pas Cargo opening, Chief Executive Officer of Kingston Wharves, Mr. Grantley Stephenson noted that the TLF was established as a hub for the delivery of efficient and exemplary shipping services, and to act as a catalyst for growth in the wider shipping industry. He added that given Pas Cargo’s solid track record in the freight-forwarding sector, “we are confident and optimistic that your presence at the TLF will add value and support the vision of the TLF as a place for quality shipping and logistics services,” Mr. Stephenson observed. Wishing the company success, Mr. Stephenson pointed to the synergies between Pas Cargo and Kingston Wharves in creating greater value and efficiencies for clients in the streamlining and management of their logistics operations and supply chain. Mr. William Read, Account Executive of Pas Cargo USA, said Pas Jamaica was pleased to be able to move into the KW ‘one stop location’. “Since we opened for business in Jamaica (two years ago), we have always strived to make our service delivery fast, simple and efficient to our customers. This location offers the ability to make this objective an even better reality,” Mr. Read said. Mr. Read added that Pas Cargo USA, the parent company of Pas Cargo Jamaica, opened its business as Cargo Consolidators some 17 years ago and rapidly rose into the number one Non-Vessel Operating Common Carrier (NVOCC) position in its first market –Trinidad. Pas Cargo Jamaica was opened two years ago, and moved into the TLF in June of this year. Meanwhile, Chairman of Pas Cargo Jamaica William Brown explained that Pas Cargo Jamaica as a subsidiary of Pas Cargo USA Inc. was seeking to increase its footprint in consolidation, warehousing and logistics services in Jamaica to the levels as in other islands. “I believe that the synergies at KW will allow for a window to better serve customers and grow our presence in the Jamaican market,” Mr. Brown underscored. New Beginnings: Pas Cargo Jamaica officially opens its office at Kingston Wharves’ Total Logistics Facility recently. Sharing in the moment are Kingston Wharves’ CEO, Grantley Stephenson (second right) and President of Pas Cargo USA, Dirk Chee-A-Tow (Centre). Other Pas Cargo Team Members (from left) are, Chairman of Pas Cargo Jamaica William Brown; Senior Sales Representative Dewayne Falconer; Sales Account Executive Patrice Romero and Group Chief Financial Controller Evroy Johnson. Pas Cargo is a leading freight company serving the Caribbean and Latin American region. The company opened offices in Jamaica two years ago. 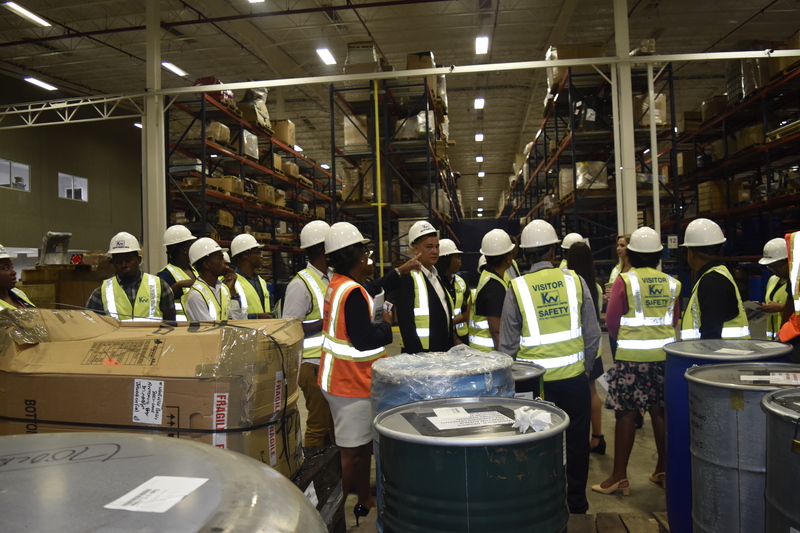 Marketing and Client Services Manager at Kingston Wharves Ltd (KWL) Simone Murdock (right), walks members of the Pas Cargo USA Inc. team through the KWL state-of-art warehouse at its Total Logistics facility. Occasion was Pas Cargo’s official opening in the TLF, Newport West recently. Pas Cargo is a leading freight company serving the Caribbean and Latin America.